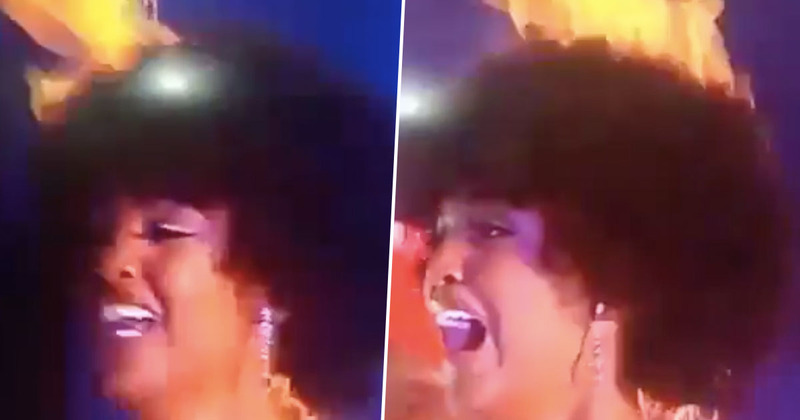 The winner of Miss Africa 2019 was engulfed in flames just moments after receiving her title. Dorcas Kasinde was representing Congo in the pageant, which was held in Nigeria and hosted by the Cross River State Government, on Friday (December 28). After receiving her crown, the contestant burst into tears of joy, but she wasn’t able to celebrate for long as she realised her hair had caught fire. Pyrotechnics were set off to showcase Kasinde’s victory, but rather than create a scene of delight, they caused one of chaos. It took the winner a few seconds to realise her hair was going up in flames, during which time a shocking amount of her head appeared to be engulfed by the blaze. Her tears of joy turned to a look of terror when she caught sight of the fire from the corner of her eye. A person standing close by appeared to come to her aid as Miss Africa disappeared from view in an attempt to put out the fire. I’m so glad to have you all and I’m so happy. I love you so much. I want to thank you all to come tonight to support me and support me on social media. I am good, my hair … it’s okay. Though the win caused her some drama, Kasinde was awarded a truck and £27,500 ($35,000), so there’s a silver lining to having had her hair catch on fire I suppose? The new Queen has since appeared in a lot of Instagram photos where her hair looks as good as ever, so luckily, the momentary blaze can’t have caused too much damage. Hopefully the Miss Africa contest, as well as TV shows like The X Factor and Britain’s Got Talent, will reconsider their need for pyrotechnics after seeing Kasinde’s incident – we don’t want anyone else’s hair to go up in flames. As for the new Miss Africa 2019, she’ll certainly never forget the beginning of her reign! I’m just glad she’s ok as it could have bee a lot worse!